Massive Perturber (40’, 2017 IW), piano solo. Premiere: 26.10.17; Ian Wilson, Crescent Arts Centre, Belfast/UK. Written with funds from an Arts Council of Northern Ireland Major Individual Award. A Sonata of Solstices and Equinoxes (25’, 2016 RIC), piano solo. Premiere: 20.01.17; Matthew Schellhorn, Brunel University, Middlesex/UK. Urban Mysteries (60’, 2016/17 IW), multimedia performance work for saxophonist, soundtrack and film. Premiere: 02.04.17; Cathal Roche, saxophones, film by Johnnie Lawson, Belfast Film Festival/UK. Commissioned by Belfast Film Festival with funds from the Arts Council of Northern Ireland Lottery Unit. Feldwege/Holzwege (45', 2015 IW) multimedia work for solo violin and loopstation with film by Johnnie Lawson. Premiere: 27.09.15; Cliodhna Ryan, Engage Festival, Bandon/IRE. Written with funds from Cork County Council. Sonáid béaloidis (15', 2014 IW) for solo violin. Premiere: 29.06.15; Alina Ibragimova, St Brendan’s Church, West Cork Chamber Music Festival, Bantry/IRE. The End of Desire (60', 2014 IW) Acoustic Theatre for saxophonist, live electronics, soundtrack and video. Premiere: 08.11.14; Ties Mellema, saxophones, directed by Jos van Kan, De Muzerije, November Music Festival, 's-Hertogenbosch/NL. Written with funds from the Eduard Van Beinum Stichting. Six Twenty-five a.m. (7'30”, 2013 RIC) for singing violinist. Bal-Beo-Nea (5', 2012 RIC) for marimba. Premiere: 10.06.13; Ji Hye Jung, SWOSU Marimba Camp, Department of Music, Southwestern Oklahoma State University/USA. Die Zwitscher-Maschine (5', 2011 RIC) for solo piccolo. Una Santa Oscura - Fragment (11', 2009 RIC) for violin (or alto saxophone) and tape . Premiere: 30.05.13; Cliodhna Ryan, CMC Salon, Kevin Barry Room, National Concert Hall, Dublin/IR. motherFUNK! (8', 2012 IW) for baritone saxophone and Boss RC-300 Loopstation. Première: 14.12.2012; Ties Mellema, Paard van Troje, The Hague/NL. Written with funds from an Arts Council of Ireland Bursary award. Cortège (9', 2010 IW) for 8-string ‘Brahms’ guitar (6-string version also available). Premiere: 01.10.15; Redmond O’Toole, Solstice Arts Centre, Navan/IRE. The linnet sings her note so pleasing (10', 2010 IW) for quartertone bass flute and live electronics. Premiere: 02.11.2010; Carla Rees and Ian Wilson; New Music Week, Dundalk Institute of Technology/IR. Una Santa Oscura (47', 2009 RIC) a work of Acoustic Theatre for violin and tape . Sonnenwende (5', 2009 RIC) for piano. Mürrische Erde (12', 2009 RIC) for solo viola (or violin). Lios na Gaoithe (7', 2008 RIC) for solo flute with glissando head joint and B foot. Sternlos (12', 2007 RIC) for solo guitar. 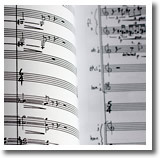 Stations (70', 2006-07, RIC) a work in 14 movements, divided into four Books, for solo piano. Ondes ombragées (18’, 2005 RIC) for alto saxophone and live DAT recording. Cartography (8’, 2004 UE) for violin. Premiere 01.08.04; Peter Sheppard Skaerved, vn; Tamayo Gallery. Mexio City/M. Schattentiefe (23’, 2004 RIC) for double bass and live DAT recording. Pianura (7’, 2004 RIC) for double bass. Spielschatten (37’, 2004 RIC) for cello and live DAT recording. Eigenschatten (26’, 2004 UE) for violin and live DAT recording. Premiere 04.04.2004; Catherine Leonard, vn; Hugh Lane Gallery, Dublin/IR. Commissioned by Catherine Leonard with funds from the Arts Council of Ireland. Ashes (5’, 2003 UE) for bass clarinet. 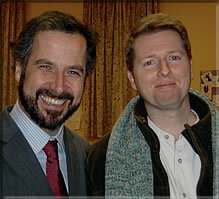 Premiere 02.03.04; Sarah Watts, bs cl; Royal Irish Academy of Music, Dublin/IR. Verschwindend (5’, 2001 UE) for piano. Premiere May ’05; Frank Abbinanti, pno; Berlin/D. Commissioned by the AXA Dublin International Piano Competition. in blue sea or sky (11’, 2000 UE) for harp. Premiere 17.11.00; Cliona Doris, hp; Dublin/IR. Commissioned by Cliona Doris with funds from the Arts Council of Ireland. History is Vanity (11’, 1999 UE) for organ. Premiere 29.06.00; Peter Sweeney, org; National Concert hall, Dublin/IR. Commissioned by the National Concert Hall, Dublin. Lim (18’, 1998 UE) for piano. 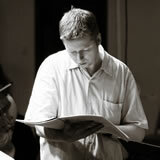 Premiere 28.09.01; Hugh Tinney, pno; Kinsale Festival/IR. Les degrés chromatiques (3', 1996/7 UE) Étude for piano. Premiere 26.05.98; Stephen Gutman, pno; London/UK. A Haunted Heart (5’, 1996 UE) for piano. Premiere 12.03.97; Stephen Gutman, pno; London/UK. Premiere 19.04.96; Paul Roe, a sax; National Concert Hall, Dublin/IR. Premiere 03.10.95; Ian Wilson, pno; Belfast/UK. BIG (9’, 1991 UE) for piano. Premiere 23.01.92; Daniel Kimmage; New York/USA. Bane (11’, 1989 UE) for violin and digital delay. Premiere 05.09.89; Alan Smale, vn; BBC Studio 1, Belfast/UK.